Modern Curve High Summer is Here! It’s here! The Modern Curve High Summer catalogue is sure to get you excited about the warmer months coming let alone the festive and holiday season fast approaching. The catalogue is brimming with light summer fabrics that are flattering, comfortable yet fashionable. You will also find many casual and formal dresses to choose from for the busy days and nights celebrating the things that matter most at this time of year like family, friends, holidays and good cheer… get ready for the party season! Florals, prints and bright summer colours haven’t gone anywhere just yet, whilst the simplicity of black and white never dates or goes out of fashionable style. 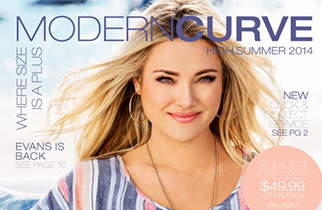 What do you love in the Modern Curve High Summer catalogue? What is your favourite collection and why? What are your party and holiday plans with family and friends? I hope you enjoy the coming months that will wind down 2014 and welcome in the new year… Happy shopping!